The start of a New Year is always a good time to consider the months just gone, and look forward to the months we hope to come. We always seem to have a busy programme of events throughout the year at Trinity, but as in many aspects of our lives, circumstances change and some things need to be reviewed. And so it was that our youth leaders identified an opportunity for us to further serve our community and reach out to our secondary school age young people. 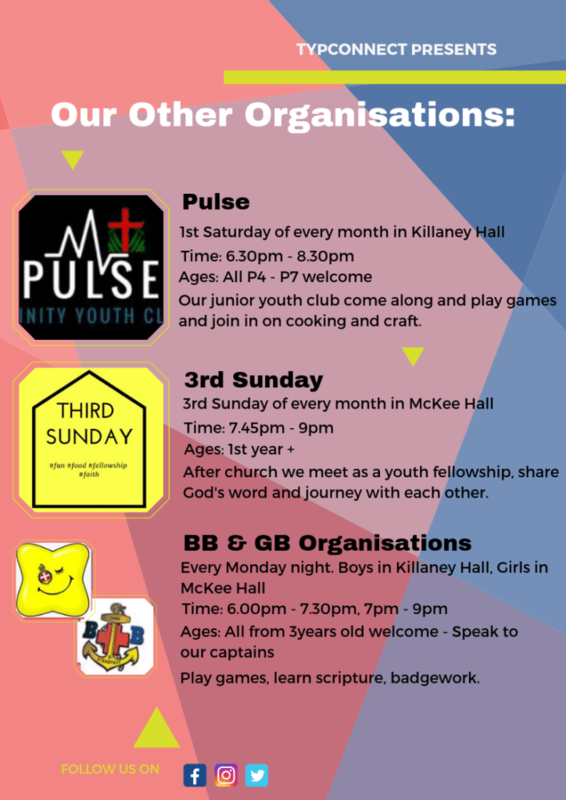 We have a lively and busy youth club on the first Saturday of the month for our children aged between P4 and P7 but we also knew that there were a number of older children that would enjoy their own youth club for their age range so we are starting “Saturday Night Thing” . 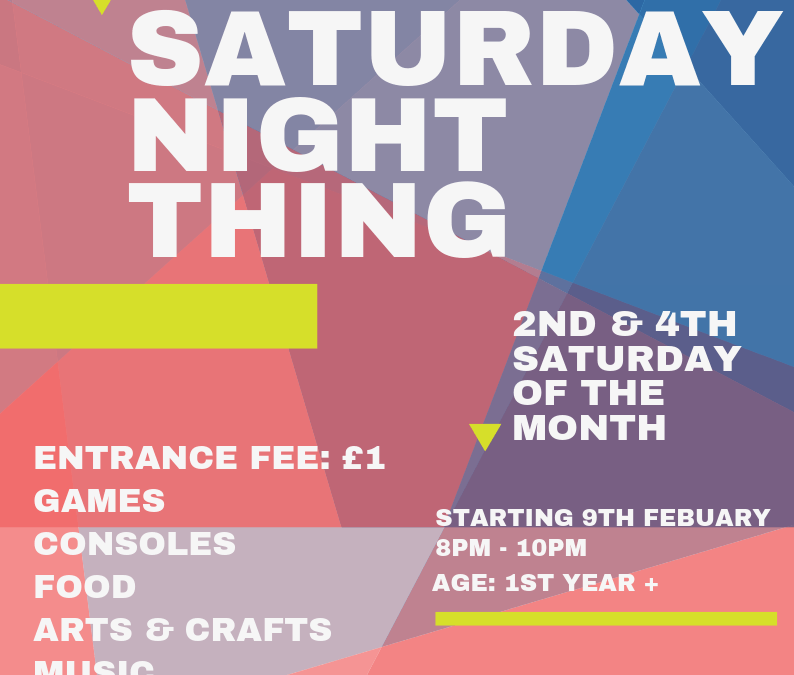 Running the 2nd and 4th Saturday of each month it will be a time for playing games, consoles, tuck shop and generally have fun with friends Year 8 and above. We have dropped some invitations into homes around the church but we would love to open up this welcome to anyone else who would like to join in – why not come and bring a friend?